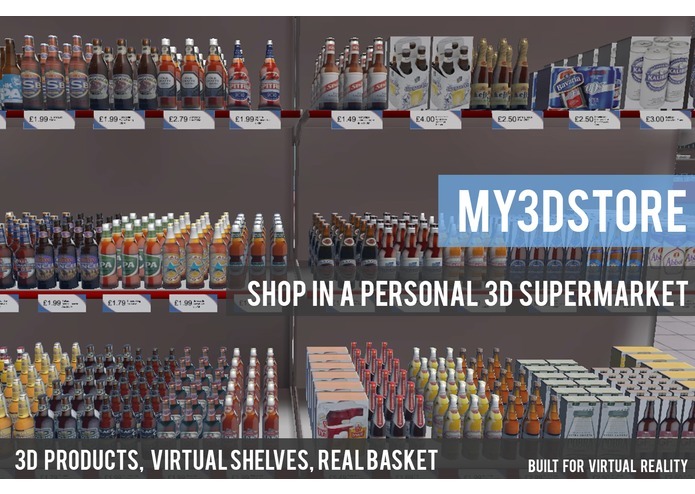 My3DStore is about combining the real shopping experience at a retail grocery store with the benefits of online shopping. 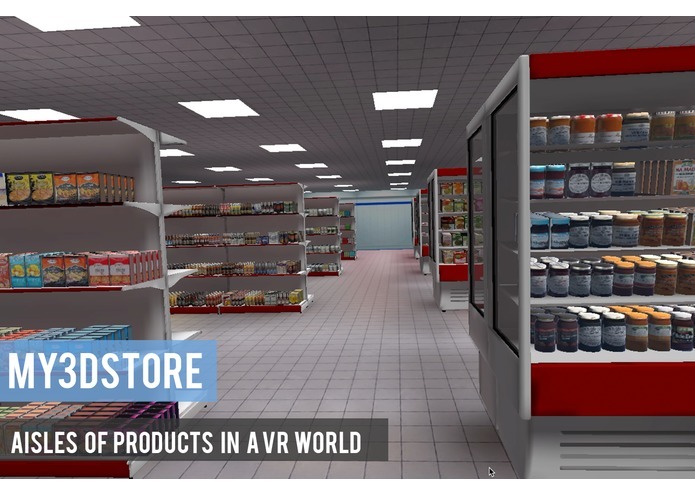 This means that consumers can visit a virtual supermarket where the products and aisles are laid out as if they were in a bricks and mortar store. 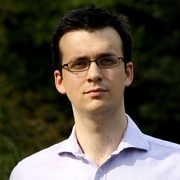 When experiencing this app shoppers can see fully stocked aisles of products. 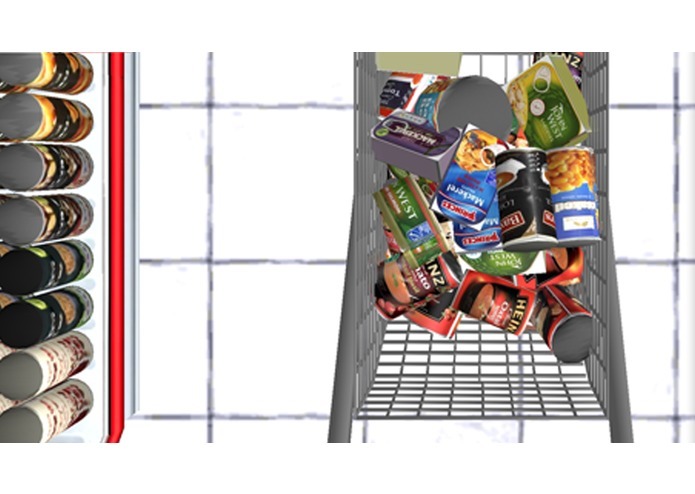 We are connecting to Tesco's API (the largest retailer in the UK) to pull Tesco product images and details, which are passed through our 3D construction algorithm to create 3D products. 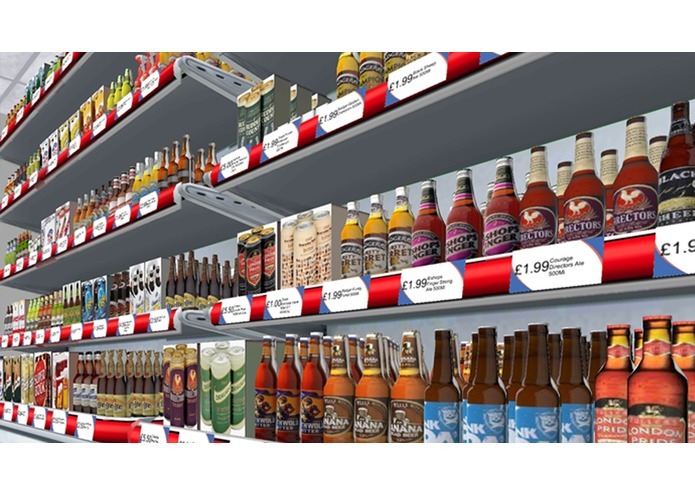 These 3D products are then prioritised by the user’s purchase history and intelligent recommendations. We build an entire store around the consumer. 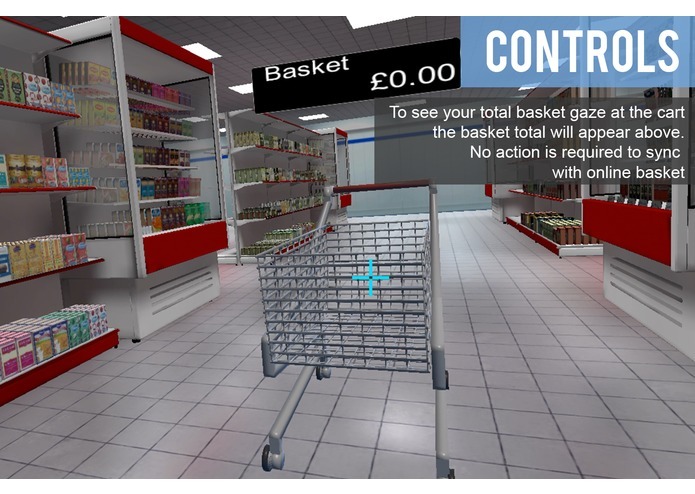 With a simple menu interface the user can navigate around the store by category and create their shopping basket with a full physics based cart, which is synced with your online Tesco basket ready for purchase. Over 24,000 products are available in the shopping experience from fruit (apples, pears, bananas) to canned food (soup, tinned vegetables) and from bath / beauty products to wine and beer. 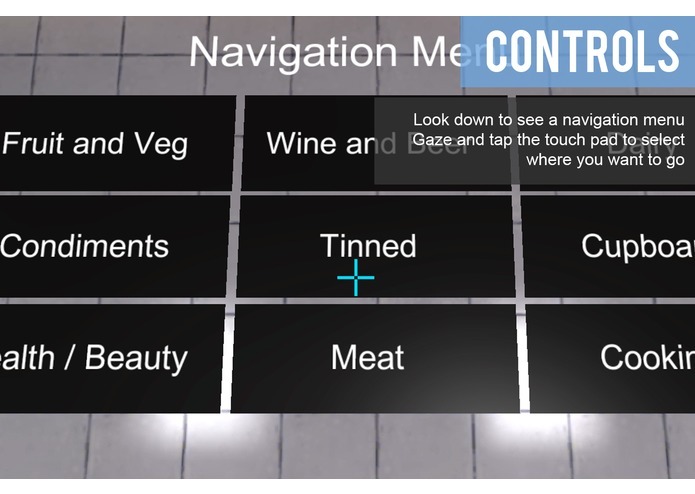 My3DStore uses Gaze and the Touch pad for it's interactions. Note: this application has been built against UK Tesco API and will update your online basket with the ones you add. However for testing and experiencing outside the UK the basket update has been disabled so you do not need a Tesco account to use this application. 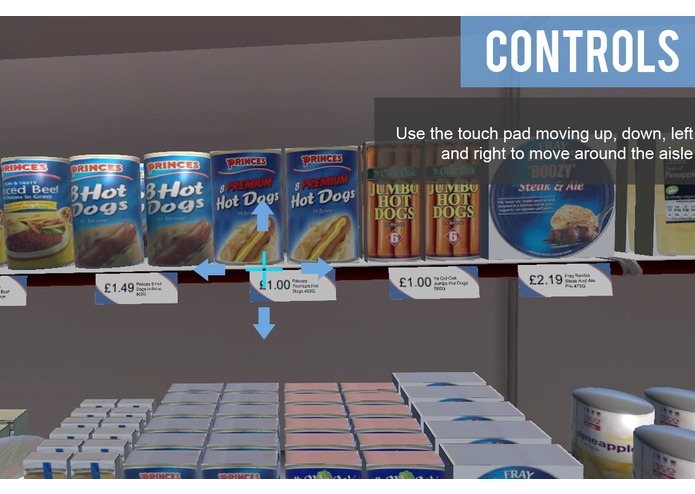 Move around an aisle by using the touch pad by swiping forward and backwards to move left and right or up and down to move up and down against the aisle. Find out the name and price of a product by gazing at a product When looking at a product a blue cross hair will appear. 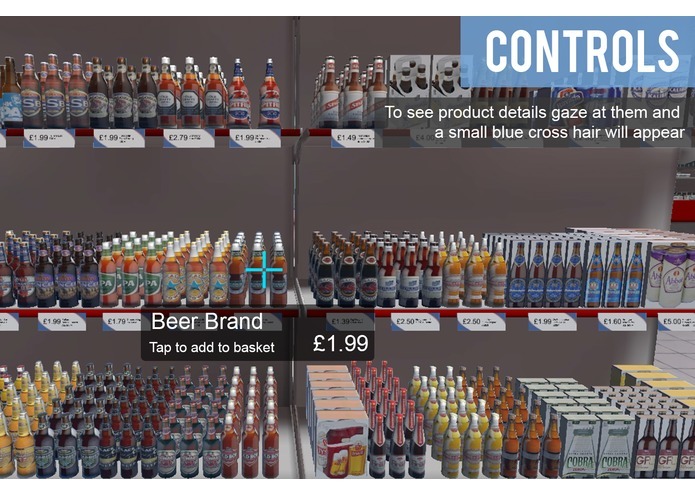 Add a product to basket by using a single tap on the touch pad whilst looking at a product. Navigate around by gazing and tapping a category option that is located on the floor. You will then be flown through the store to that category. 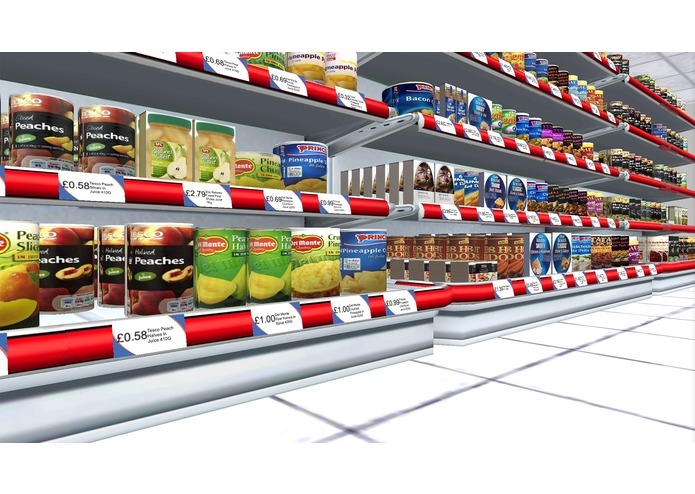 There are 24,000 products that can be shown on the shelves of an entire store. This is a large amount of visual data. This means that the app is supported by server pre processing for the product elements. The products are rendered from 2D images and description data from which their shape, size and appearance are calculated. 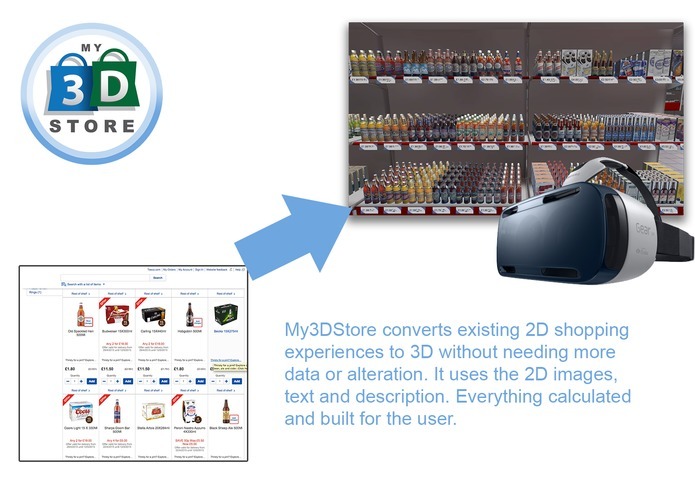 This application is converting a 2D shopping experience into 3D without other intervention. 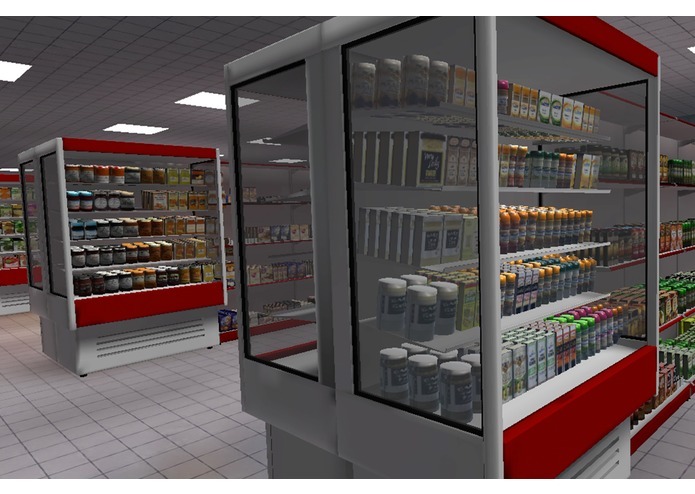 I believe that this is one of the first supermarket shopping experience for VR and provides genuine benefit to users who want to explore the supermarket.